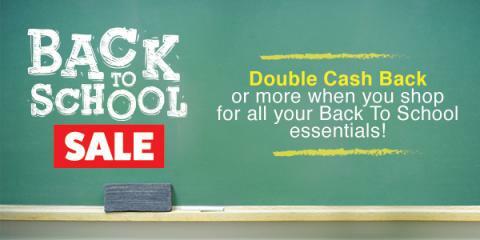 Cash Back for Back-to-School Shopping! Who's ready for Back to School Shopping?! Let's be real, school clothes and supplies can be expensive. How about getting back some of your hard earned money while you're shopping this time of year? Um, yes PLEASE!! Disclosure: This is a sponsored post for Swagbucks that contains my referral affiliate links, which helps support this blog (and my family.) Please see my Disclosure Statements for more information.